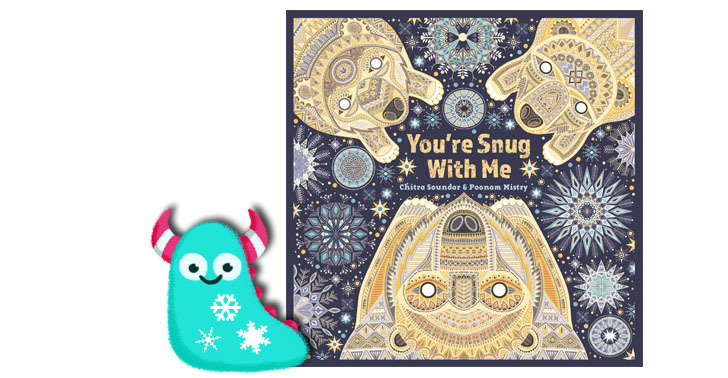 Last week it felt like winter had finally arrived, which leads me to believe that Chitra Soundar, Poonam Mistry and Lantana Publishing must be wizards who conjured the cold weather to tie in with the launch of their chilly new book You’re Snug With Me. A little while ago I reviewed You’re Safe With Me, by this very team, and I was so thrilled to receive this beautiful follow up. You’re Snug With Me follows a female polar bear with her two young cubs in the polar lands. Curious, yet fearful of the daunting world around them, they ask questions of their mother, who carefully and firmly answers and reassures the cubs that she will make sure they are safe. Among this, we have little details that show how important their surroundings are and how we must value and cherish them and treat them with respect. Like their previous title, Chitra Soundar’s writing has such a gentle and poetic style to it, if not even more so in this. It has more words than the previous book, so the poetic nature comes across even more so than before, it makes for a perfect length read. There is a lovely sense of repetition, which will not only engage and aid young children with their reading, but also helps to emphasise the very important message to ease and reassure any potential anxieties and worries they may have. It’s very clever really. 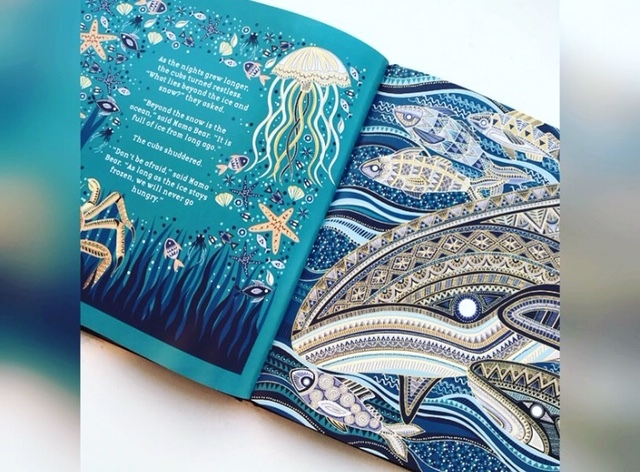 Not only does this story focus on reassuring nervous and anxious children, encourages curiosity and conversation, but it also teaches children about the importance of respecting and protecting our beautiful world. It’s done in a subtle way so as not to take away from the loveliness of the story though. It is a gorgeously written picture book, easy to read, yet with a more grown up feel. 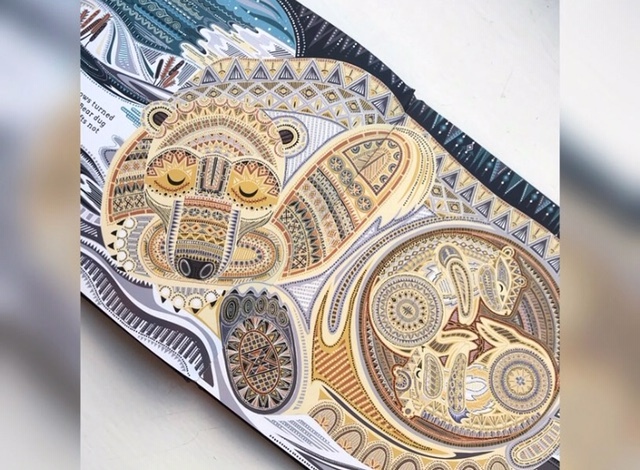 There’s nothing childish about this children’s book. 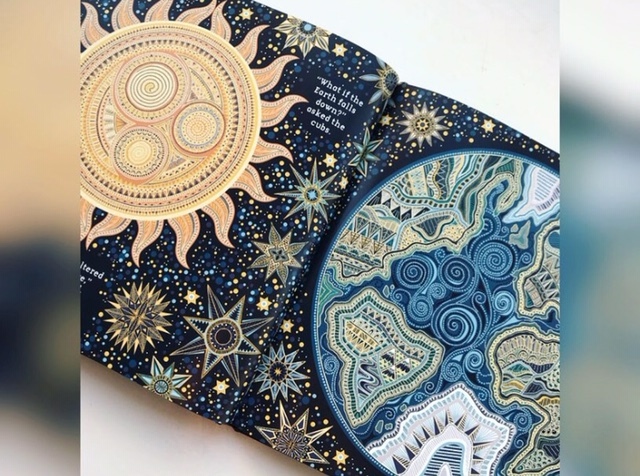 Poonam Mistry is back with her incredibly unique and captivating illustration style using intricate patterns of tiny dots , dashes and shapes. When I posted this book on social media initially, it got a huge amount of attention from the images alone. With a palette made up of mainly icy blue tones, and crisp lemon colours the coldness leaps from the pages, so you instantly know where the story is set. The pages are filled with incredible detail, yet the polar bear mother and her cubs are clearly defined and full of movement, character and love. There is contrast, depth and feeling on every page, complimenting Chitra’s flowing and heartfelt words perfectly. You’re Snug With Me is a perfect compliment to You’re Safe With Me, a gorgeous set of picture books full of meaning and poignancy. 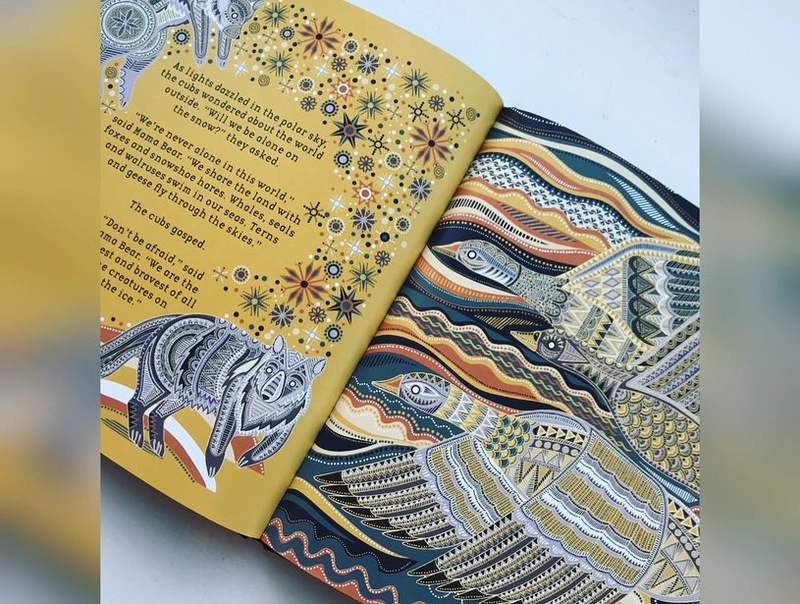 But individually, this book is so strong, it stands out, it’s something children won’t have seen before, and is a brilliant tool for supporting anxious children, encouraging curious ones and of course just being a fun and lovely read. Perfect school book and an ideal calming bedtime story. Quite remarkable really. You’re Snug With Me is now available from all good book shops and libraries. Thank you to Lantana for sending me a copy of You’re Snug With Me, and thank you to you for reading this chilly Book Monster review.